Home Windows How Do I Ensure My Desktop PC Has Enough RAM? How Do I Ensure My Desktop PC Has Enough RAM? 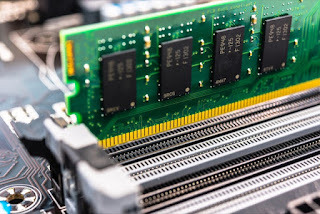 RAM is one of the most important components in a desktop computer. Your top-of-the-line CPU and an incredibly fast graphic card will not be able to perform optimally when you don’t have enough RAM installed. Most desktop PCs and laptops now come with 8GB of RAM as standard, but is that amount of RAM enough? How much do you really need? That is what we are going to find out in this article. The latest desktops should run 64-bit Windows 8 or Windows 10. The 64-bit version of the operating system can support more RAM, whilst the 32-bit version is limited to a maximum of 4GB. By checking the type of operating system you use, you will be able to determine if you need more than 4GB. More importantly, you can tell if your system would benefit from the extra RAM. Since 64-bit is now very common and most – if not all – apps and software now support the 64-bit operating system, upgrading to 64-bit if you’re still on 32-bit Windows is definitely advised. You can then upgrade your PC RAM to 8GB or more and have a much faster system instantly. Another way to determine if your desktop PC has enough RAM is to check the RAM usage under heavy loads. When running certain apps such as Adobe Photoshop or Google Chrome, your system actually needs more RAM to function smoothly. When all of the available RAM is used – or when the system hits a certain percentage of RAM usage – a part of the data stored in memory will be offloaded to your hard drive. This, even when highly optimized, will slow down your desktop PC to a certain extent. To check the RAM usage, hit Ctrl + Shift + Esc and open Task Manager. Switch to the Performance Tab and see how much of the available RAM is in use. It is best to do this when running the software you normally use to get a clearer picture of if the available RAM is enough. Last but certainly not least, it is worth remembering that adding RAM is always good for your system; at least up to a certain point. 8GB of RAM is more than enough for most users. 16GB is recommended if you use image editing software or edit videos on your desktop PC. More RAM also helps games run better. There is no need to offload game data to the hard drive every now and then, which means performance is generally very smooth and user experience is at its best. PC RAM is very affordable these days. Desktop PCs also have multiple slots – up to 8, but 4 in most systems – to fill. The only time you need to be extra certain that you need the RAM is when you’re upgrading to 32GB of RAM. Only a very small number of users actually need that much RAM. These tips can also be applied to laptops with upgradable RAM. Now that you know how to ensure your PC has enough RAM, it is time to do your own checks and determine if you should upgrade your desktop PC.